The iPhone 5 is one of the best selling phones currently available. It is built using a beautiful aluminum unibody, but the case and screen are still vulnerable to scratches and other damage if its dropped or left in a pocket with keys and coins. This is why it’s a good idea to buy a case for your iPhone 5. We have selected the top five iPhone 5 cases you can currently buy. This is a rugged and nearly-indestrucible case – it’s a multi-layer protective solution for your iPhone 5. It makes use of a polycarbonate skeleton which cushions the iPhone. It also has a built-in screen protector, an outer layer which wraps the inner shell, a belt-clip holster. Even with all this protection, it still gives full access to the buttons, microphone and camera of the iPhone. The Defender Series case protects against drops, dust, scratches and includes a screen protector and holster. 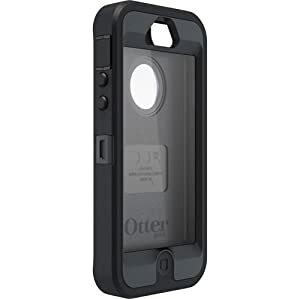 It is bulkier than some other cases, which is why OtterBox make several other cases with different designs for the iPhone 5. 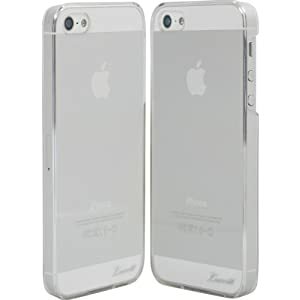 This case provides a scratch-resistant ultra-clear coating which doesn’t hide the beautiful design of your iPhone 5. It gives an ultra-low profile, made of high quality Japanese polycarbonate with a super long life. This case gives quick and easy access to all the ports and buttons on your iPhone 5, and gives a nice snug fit. This is a good choice for anyone looking for a case with a minimalist design that won’t hide the aesthetics of your iPhone 5. This case uses a hybrid design which combines a plextonium hard shell and shock absorbing silicone core. It provides complete access to all ports and controls while maintaining full coverage protection. The custom-cut holes allow full access to the camera lens and flash. This case does come with a screen protector. Buyers have reported that it provides a very tight fit and provides good protection against drops. It also provides good grip and isn’t as bulky as some other cases. The Incipo Dual PRO is available in various color combinations including Optical White/Charcoal Grey, Obsidian Black/ Obsidian Black, Indigo Violet / Charcoal Gray, Cyan Blue / Haze Gray, Cherry Blossom Pink/Charcoal Gray and Charcoal Gray / Citron Yellow. Speck sell a wide range of iPhone cases, but the CandyShell Glossy Case is the most popular. It provides two ‘delicious’ layers of protection which come together in a very slim single-piece iPhone 5 case. The two toned color combinations give it a nice look. Buyers have complimented the build quality of this case, commenting on its look and feel, and the attention of detail. Speck also made a case called the CandyShell Grip which has more grip than the Glossy version. This case is made by Belkin, well known for quality computer and tech accessories. The Grip Candy Sheer is available in Blacktop/Glow, Blacktop/Hazard, Reflection/Gravel, and Purple Lightening/Fountain Blue color combinations. Some users reported that they preferred this case over the Speck CandyShell. The Belkin case is very slim and compliments the design of the iPhone 5. Because of this, it’s easy to put in or take out of your pocket. The TPU material used by Belkin for this case is very durable and holds up well to scratches, etc after several weeks use.